Aryan Boiler Mills have been carefully designed and crafted to meet best of the performance efficiencies at the toughest working conditions. Anti-friction bearings for all carrier shafts which reduce wear & tear of shafts which in turn reduces the power consumption. Top of cane carrier will be fully covered (except in horizontal part) with mild steel plates and adequately braced with angle iron sections. This reduces flying of prepared cane dust in surrounding and also provides rigidity to the carrier. Rake elevator and inter rake carriers are provide with special design chain tightening arrangement, which allows tightening during operation. Side trough plates of these carriers are of full height covering tip of rakes of chain strand in return direction. This minimizes bagasse spillage from trough side and maintains the plant neat and clean. Vertical Set, King Boltless type with push-pull screw for quick & easy setting and operation. Split cylindrical pin for top and side caps for ease of quick dismantling of mill and ease of maintenance. The hinged side caps swing outwards and down to form platforms which facilities sliding of bottom bearings and rollers on machined inside surface of the side caps. Labyrinth juice sealing arrangement in mill bearings prevents contamination of lubricant by juice ingress thus avoiding breakdowns and resulting in longer life of journals. Sturdy design of head stocks capable of accommodating bigger roller diameters for higher crush rate and greater variation in mill setting. Mill Roller bearings have two lubrication points for fail safe lubrication. Hydraulic load not transferred to roller journal while resting on bottom half of top bearing. Crown pinions are provided with eccentric bore with tangential keys for quick assembly / dismantling. Mills are easily adaptable for future expansion for higher crushing rates by fittings pressure feeders. Sturdy design of head stocks capable of accommodating bigger roller diameters for achieving higher rate of crush during expansion, later. Headstocks are designed to accommodate fourth roller for better efficiencies and higher crushing. Have successfully designed and commissioned mills of 45×90 inch size. Have designed 55×90 inch mills for single tandem crushing upto 17,000 T.C.D. 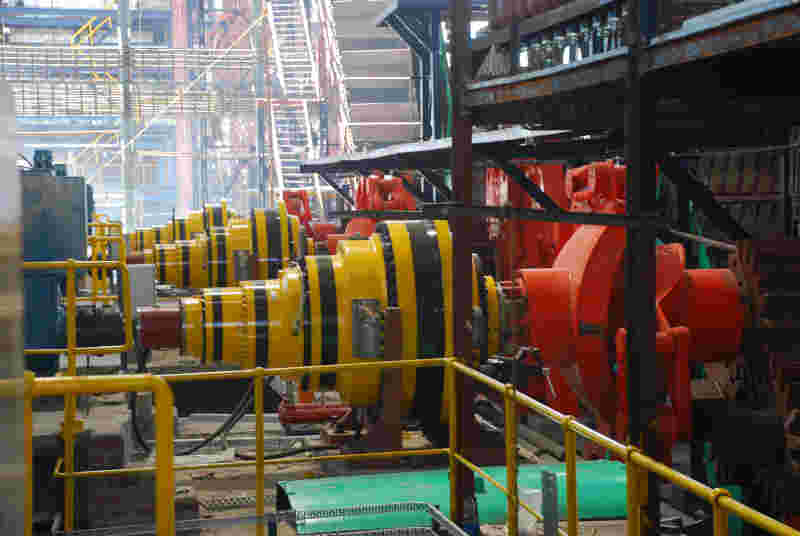 Mill top roller will be connected to planetary Gearbox by means of suitable Rope Coupling. It is a revolutionary concept of transmitting torque from Planetary or any gear to mill with substantial power savings. Polyester sling eliminates large bending moments & thrust generated from the axial & radial misalignment between gear & top roller. It will be accommodated in minimum space between Mill & Gear Shaft. Mis-alignments fully absorbed by rope coupling as a result no significant lateral thrust or bending moment is transmitted to the drive system.